Q Pilates Body Tone Pilates classes are 45-minute sessions run by Pilates Instructors with specific training in reformer Pilates. These classes are intimate in size, allowing the instructor to provide specific technique correction to each individual while tailoring the classes to all ages and abilities. 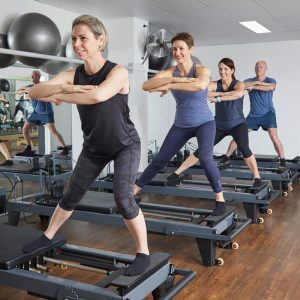 The Body Tone Pilates classes are run in a fully equipped air-conditioned Pilates studio and have been specially designed alongside Physiotherapists to provide the safest and best form of Pilates exercise available. The exercises performed within the classes change on a daily basis, to constantly place the muscles under altering loads, for the continual challenge to the body and eventual all-over sculpting. Body Tone Pilates is suitable for clients who have no current injuries, are not pregnant or have recently given birth, and who are searching for a challenging equipment-based Pilates regime. The classes are run solely on the Pilates reformer machines, which are spring-loaded pieces of equipment that allow you to work your muscles to fatigue while challenging the core and stability muscles. The Body Tone Pilates classes aim to target each individual muscle group in isolation, working from the abdominals and core, arm toning exercises, gluts, legs and back strengthening exercises. For a muscle burn like you’ve never experienced before, these are the classes for you! 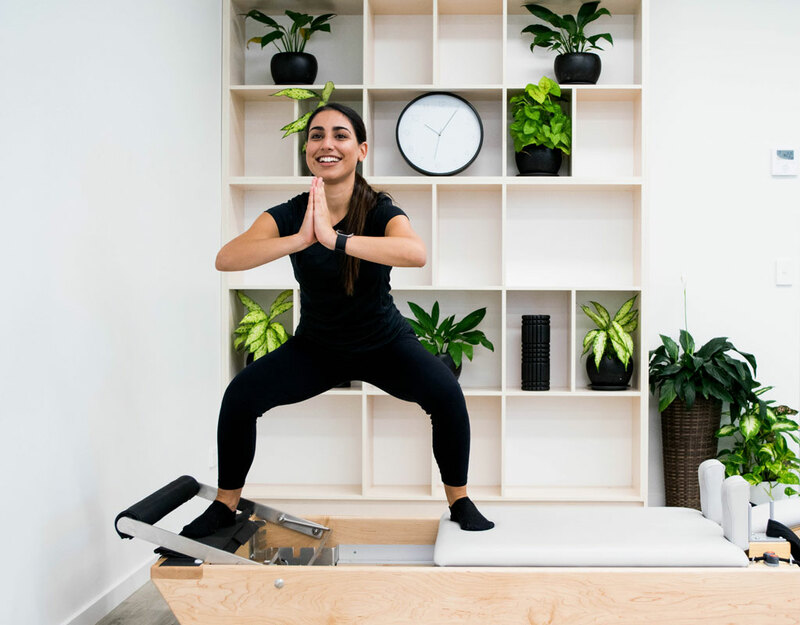 We require every new client to attend a 30minute Orientation Session to ensure that Body Tony Pilates is the correct class selection for each individual, to teach you fundamentals of Pilates and to familiarise yourself with the Pilates reformers. Once you have attended this class, you are able to join the Body Tone class of your choice. See our location tabs to select the correct studio and phone to book into an Orientation class. If you have had previous spinal pain, injuries, abdominal surgery, early post-pregnancy or other health issues, it is important to inform the physiotherapists so they can fully assess you first to ensure the Body Tone Pilates classes are right for you. The pre-screening form and Orientation Class will screen for relevant conditions and the Pilates instructor may recommend that Body Tone Pilates is not appropriate for you and recommend a more tailored approach within the physiotherapist-led exercise sessions until you are fit enough to swap over to Body Tone. This is to ensure you are working out at a level appropriate to avoid injury but also to optimise what Pilates can do in improving your health and achieving your Pilates goals.